Gutter music. Mica Levi may be your favorite artist’s favorite artist. Pop meets art house, Levi’s reputation has been built on her unique production techniques, often distorted, loose and usually built from her own crafted instruments. Legendary electronic artist Matthew Herbert produced her debut album Jewellery, an infectious experimental pop record that was my favorite release of 2009 and landed on many others’ year-end lists. Her first mixtape offering since 2009’s Filthy Friends and Kwesachu (w/ Kwes), this mix is a collaborative effort between Micachu and London based producer, Kwake Bass, an artist championed by Mica and member of the Jazz/Hip-Hop instrumental outfit, Speakers Corner Quartet. 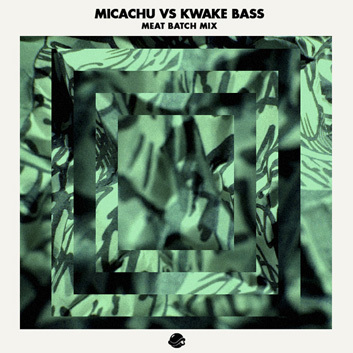 On this “Meat Batch” guest mix, they go toe-to-toe with original beats, sonically matched and weaved together sounding as if they were straight from cassette. Bass driven, dark and lo-fi. Micachu just released her new live album, Chopped and Screwed, loosely influenced by the chopped & screwed style made famous by Houston’s legendary DJ Screw. Chopped and Screwed zones in on the genre's slow motion aspects, cutting of loops and drugs (cough syrup and weed), but Chopped and Screwed is a classical record. The album was recorded live with the London Sinfonietta in May 2010. The album will be released by Rough Trade on CD and limited edition gatefold vinyl (400 copies for the UK) and includes a free mixtape. Kwake Bass will be releasing a live solo mixtape later this Summer.